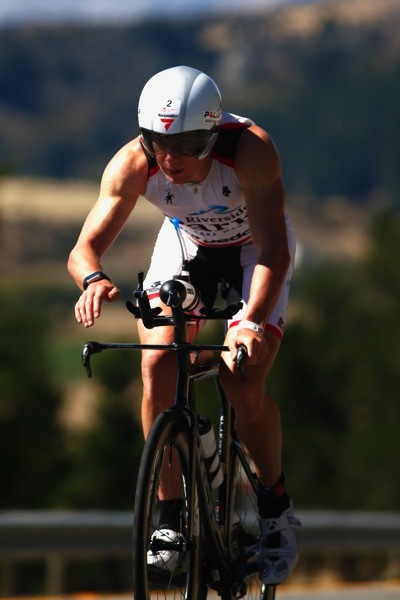 Compared to the regular conditions in Wanaka, the swim and the bike ride were pretty quick and resulted in two new course records: 45:33 by Dylan for the swim and 4:30:51 by Dougal Allen (pictured on the right) for the bike. Maybe the athletes paid for it on the run which was pretty slow. Overall Wanaka continues to be one of the slowest courses on the Pro circuit with a new course rating of -5:30. After his trademark fast swim (even though it was a new course record, it was actually slower than expected! ), Dylan McNeice continued to be in the lead for the rest of the race. 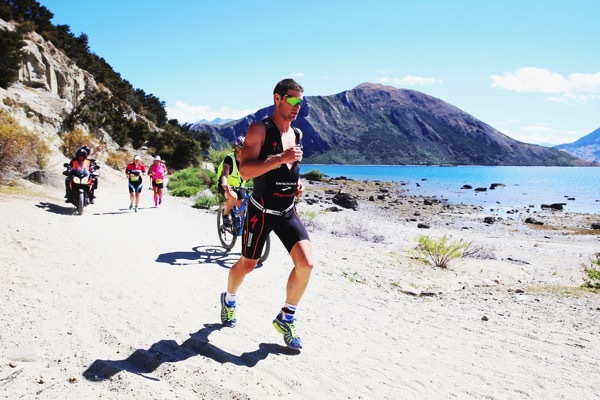 While he quickly distanced the good swimmers, Dougal Allen made up most of his more than 17 minutes deficit after the swim, and they were within a few seconds of each other after T2. Dylan (pictured on the bottom) then needed a race-best 3-hours-flat marathon to win by less than three minutes over Dougal. Courtney Ogden took the last spot on the podium. 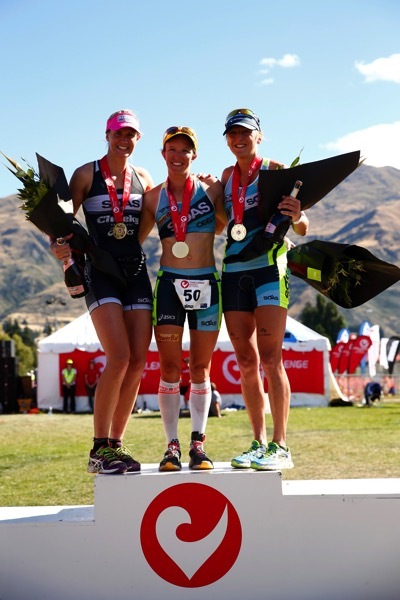 Simone Maier finished in fourth place just one week after finishing New Zealand’s „Coast to Coast“ race in second place – a performance as remarkable as Braden Currie finishing fifth on the men’s side after winning Coast to Coast the week before.